Turning 40 is a huge milestone, some say life begins at 40 so why not embrace this notion and throw an extravagant party to make this important occasion memorable. Don’t take it too seriously; it is a great chance to be over the top with wacky ideas and a time to go big on the theming. 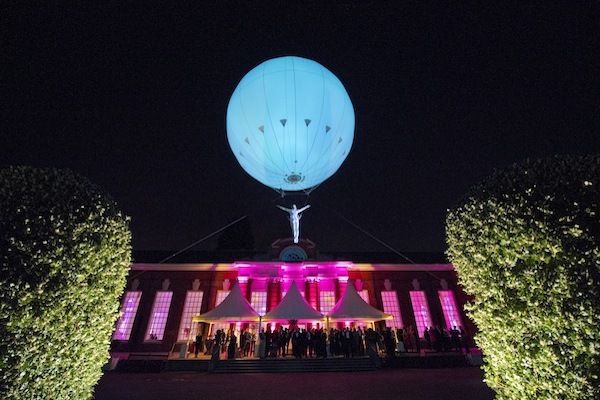 Whether you make an entrance on a heliosphere, serve shot skis from an ice bar and cover Claridge’s ballroom with snow, or book a private performance by a world-class comedian, there are endless possibilities! 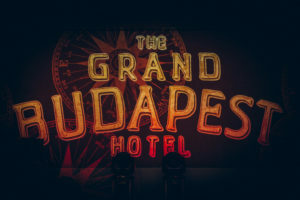 When choosing your theme, think about the things you love whether it’s a special place where memories were forged or a film that has defined your life. Start with the most basic of concepts, a sliver of an idea, and run with it – before you know it you will have an array of unique ideas to really make your 40th as outstanding as it should be. Once you choose a party theme, the rest of the decision-making process becomes much simpler and lots of fun. We have found that 40th birthday parties are a time to be wild; find your inner child and don’t hold back. 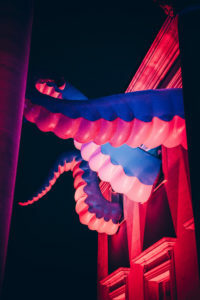 At a Wes Anderson-themed rave guests arrived to giant inflatable tentacles breaking out of the windows, and were greeted by Lobby Boys at The Grand Budapest Hotel. Guests could enjoy a warming curry whilst sat on the train in Darjeeling and by ducking through a Fantastic Mr Fox rabbit hole, they were immersed into a Life Aquatic scene. We love creating an environment full of secrets and surprises, giving a multi-dimensional and faceted experience, leaving guests walking away sharing their own narrative of the night.